Months ahead of the festive season, department stores are already assembling Christmas displays and selling Christmas goods. During September, major department store David Jones started to stock Christmas-related goods, such as decorations, cards and gift wrapping, and food. 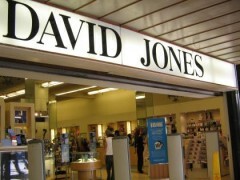 David Jones has referred to this move as keeping up with international retail trends. “Christmas should be a time for celebrating,” added Ms Dalley. Mr Taylor described Christmas as an “amazing phenomenon”, and one which commercial giants, such as Myer and David Jones, have claimed for their “special moment for business”. Despite what many shoppers would consider as a money-making venture, Mr Taylor said department stores are not the only ones preparing for Christmas months ahead of its celebration date. “Each and every parish across the country has a liturgy preparation team beginning their work just as early,” said Mr Taylor. “In schools, ‘Carols by Candlelight’ events and the telling of the Christmas story occur three to four weeks before the church holds [these types of events],” added Mr Taylor. In Mr Taylor’s opinion, Christmas has not turned into a money-making venture. However, he does believe there has been a societal shift in the celebration process. “This does not need to include turkey, treats and tinsel,” said Mr Taylor. Of those from a Christian-based faith – Roman Catholics, Protestants and members of the Orthodox Church – Christmas is viewed not as a single day, but as a whole season. “Christmas festivities are a time to remember Christ’s birth and celebrate his presence among us,” said Mr Taylor. According to the Australian Bureau of Statistics’ (ABS) ‘A Statistical look at Christmas’ media release, shopping for the festive season peaks in December. In 2009, Australians imported 58 million dollars worth of Christmas-related goods, and spent another 10 million dollars on Christmas lights. “People are influenced by advertising and they tend to believe you can show your affection by giving gifts,” said Ms Dalley. The ABS reported retail spending increased by 26 per cent during December last year, with a noticeable 64 per cent increase in department store bought goods. Ms Dalley believes: “People’s attitudes are changed by department stores’ policies. 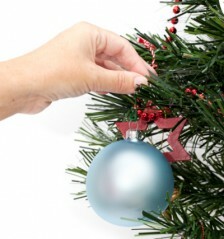 “We seem to go from one festive event to another with no respite.